The Lesion can be seen near the transverse process in the above scan. Multiple osteochondromata have a high risk of malignant change - either to chondrosarcoma, as in this case or osteosarcoma. 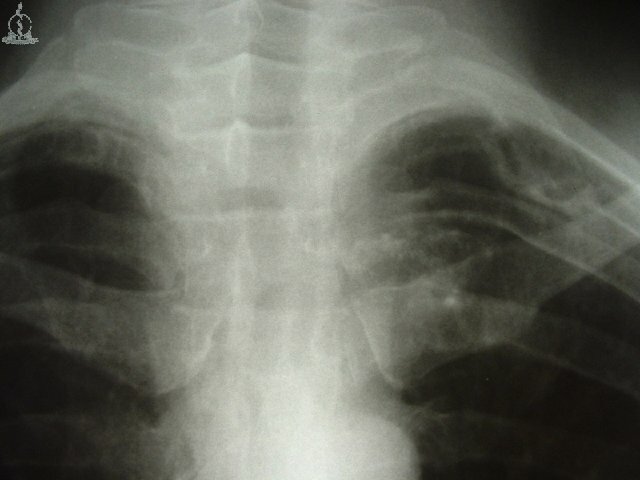 Chondrosarcoma is not radio sensitive, nor is chemotherapy much use. 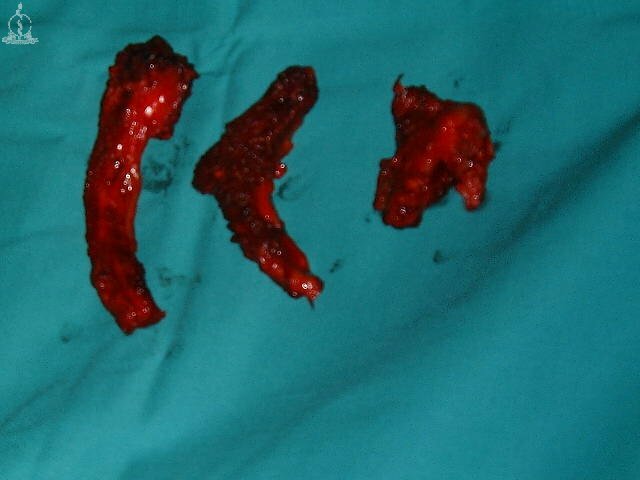 The mainstay of treatment is surgical excision of the lesion. 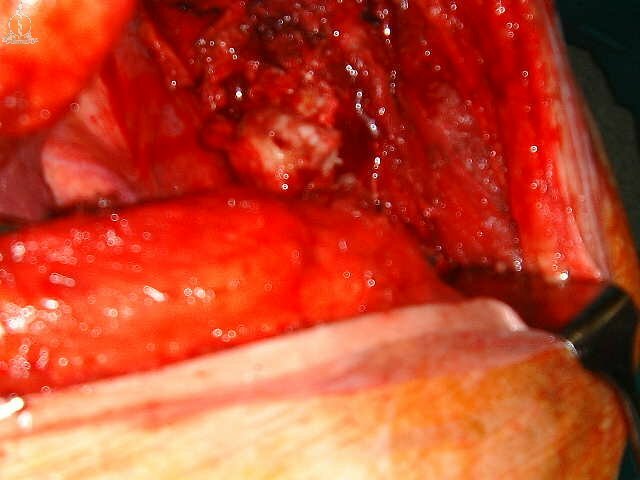 Being a low grade lesion,this chondrosarcoma will not likely recur locally and, if it does, another excision will be needed.